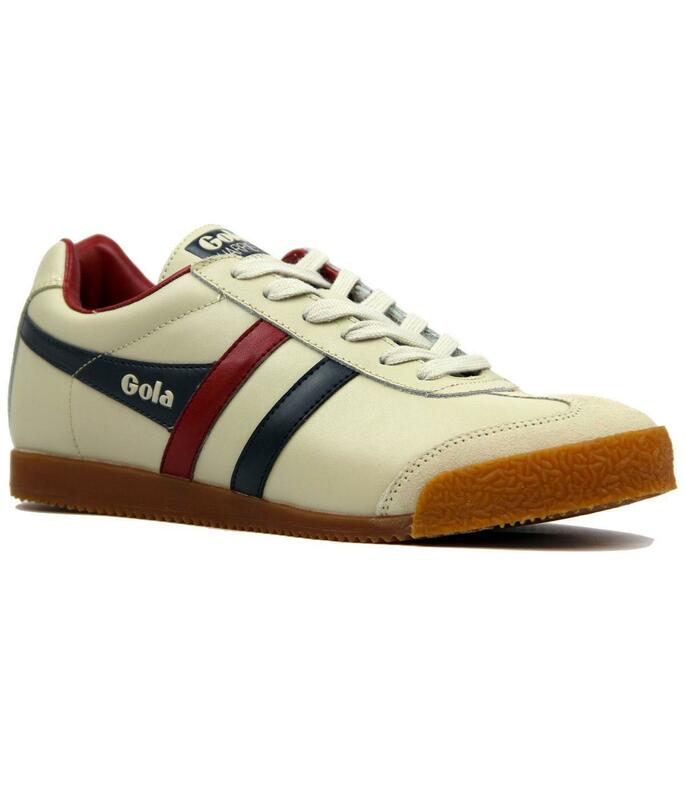 Gola Harrier Leather Men's Retro 1970s style trainers in ecru. Featuring a striking navy and burgundy contrast side stripe detail to add a cool Mod twist. Gola Harrier Leather Trainers are an iconic footwear staple. First introduced in 1968 as a training shoe, the Gola Harrier has never looked back. The Nineties Britpop Indie revolution ensured a resurgence for this iconic style, a Retro sneaker renaissance of which the Harrier was king! With contrast stripe side panels, premium leather upper and gum outsole, the Harrier is instantly recognisable. An affinity with the Indie music scene means Gola Harrier Trainers remain rooted in rock and roll style whilst simultaneously maintaining their classic Retro sports edge. 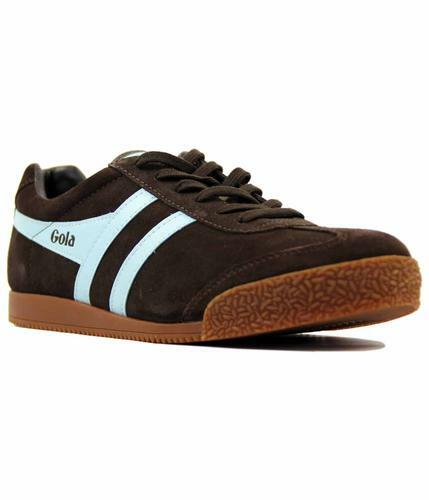 An original since 1968 and surefire Retro masterpiece - Gola Harrier Trainers. Team with track jacket, crew neck tee and denim jeans for a classic casuals and terrace vibe! 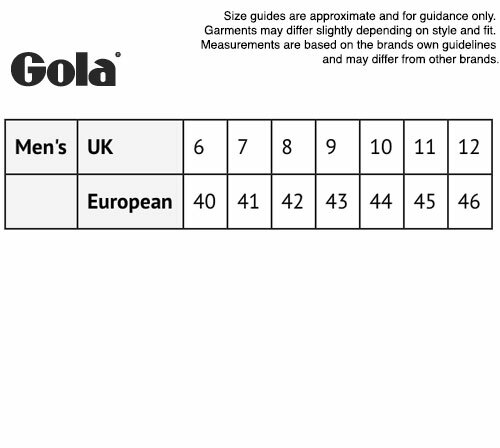 - Gola Harrier Leather men's retro trainers in ecru. 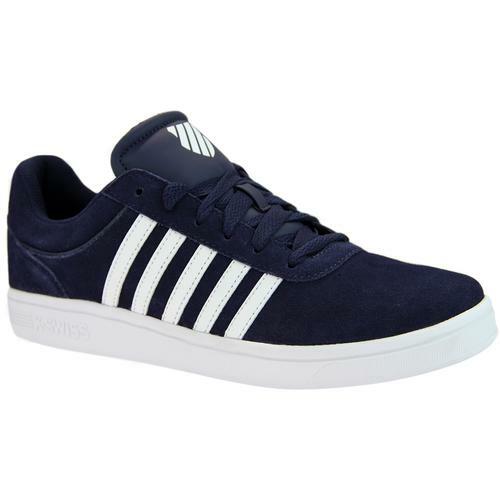 - Contrast navy and burgundy retro stripe detail to the sides. - The leather tongue is finished with Gola Harrier suede tab sign off. 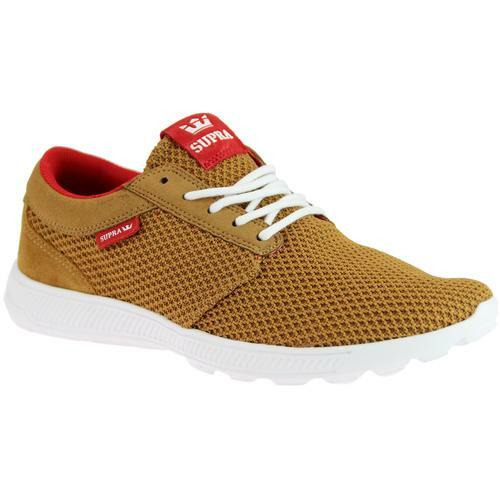 - Suede toe box with tonal stitch is the epitome of pure Indie style. 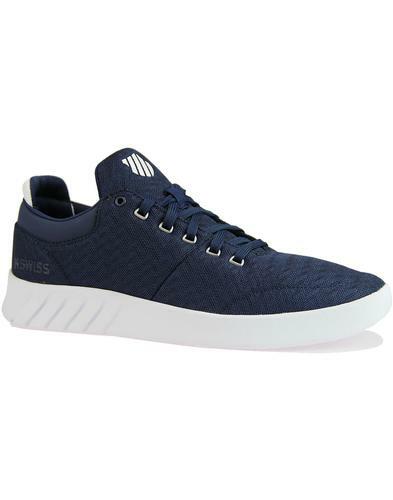 - SKU: CMA198CE2 Harrier Leather Trainers.